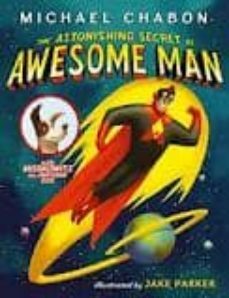 Meet Awesome Man - a brand new superhero, who's out of this world! The first picture book from Pulitzer Prize-winning novelist Michael Chabon perfectly captures the fantasy life of young superhero fans. Awesome Man can shoot positronic rays out of his eyeballs, fly as straight as an arrow and hug mutant Jelly! Even villains like Professor Von Evil and the flaming Eyeballs are no match for this caped crusader. But Awesome Man also has his secret! Can you guess what it is?